The Riga Latvian Society offers premises for different events – conferences, seminars, presentations, work groups’ meetings, discussions, exhibitions, auctions, art projects, concerts, balls, receptions, family festivals, weddings, marriage ceremonials, first valse, splendid lunches and dinners. 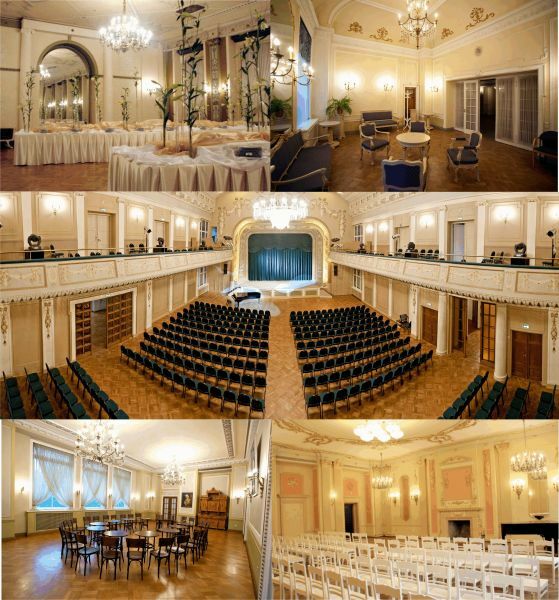 For the events the Riga Latvian Society offers several splendid halls: Big Hall, Gold Hall, White Hall, Ligo Hall, Club Hall, Gold Hall salons and Big Hall lobby. Our house can welcome more than 3000 people, although, comfortably will feel also small 15 – 20 people companies. Our professional specialists, who have large experience in organizing different kinds of events, invite you to become our clients and collaboration partners. 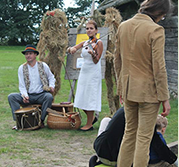 In order to fulfil your rational and emotional needs and creative ideas, Riga Latvian Society offers multi-functional premises, where meet the historic interior and modern technologies. We wish you success in work; and let’s meet in the beautiful historic premises in the centre of Riga – Riga Latvian Society.